Three-and-a-half years ago, Tangiers Group decided to take a stand against the devastating loss of life associated with the migration phenomenon. In response to this humanitarian crisis, the Tangiers Group, led by its founders, created MOAS, a registered NGO providing professional search and rescue services on the world’s deadliest border crossing – the Mediterranean. Since then, our group’s commitment to a simple philosophy – No one deserves to die at sea – has become a major force for change with more than 33,000 men, women and children saved by the dedicated search-and-rescue teams of MOAS. Now, an endorsement from one of the world’s biggest rock bands is expected to elevate our lifesaving operation to even greater heights. Multiple Grammy award-winning group Coldplay have announced their patronage of MOAS, providing invaluable publicity which will expand capabilities and save lives. Coldplay, who rocketed to stardom on the back of the platinum-selling album Parachutes in 2000, are well-known for their support of social causes. Singer Chris Martin provided a haunting a cappella version of the band’s hit Don’t Panic which underscores dramatic footage shot by artist Adam Broomberg during his time aboard a MOAS search-and-rescue vessel. The support offered by Coldplay and their team could not come at a more crucial time. In 2016 alone, more than 5,000 people drowned in the Mediterranean attempting perilous sea-crossings. MOAS is currently preparing for its 2017 mission in the Mediterranean and Aegean seas as desperate people, including an increasing number of families and unaccompanied minors, embark on deadly journeys in an attempt to reach Europe. The NGO was founded in April 2014 by Christopher and Regina Catrambone and the Tangiers team following the deaths of some 400 men, women and children off the coast of the Italian island of Lampedusa a year earlier. 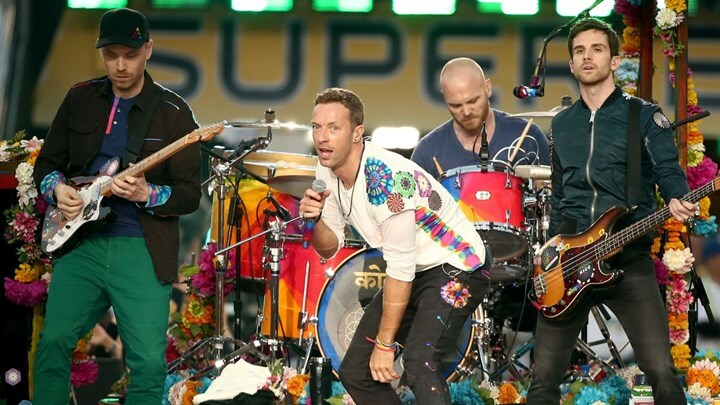 Regina Catrambone said: “We are very grateful to Coldplay for believing so strongly in our cause. MOAS is a young organisation that in a few years has managed to make a significant difference in mitigating one of the most heart-breaking humanitarian tragedies of our era. MOAS’ work has already had a deep impact on many lives. Appy, a young woman from Nigeria, described how poverty and hunger forced her and her sister to leave their country. After a three-month journey – including three days crossing a desert by foot with no food or water – they eventually made it to Libya. Like others before them, they boarded a rubber dinghy – completely unsuitable for the treacherous crossing ahead – and attempted to reach Europe. However, the vessel quickly became lost and began to deflate. Appy believed her journey would end like the thousands who had already lost their lives. Anyone wishing to help MOAS achieve its simple philosophy of saving lives can visit the donations page on the organisation’s website.